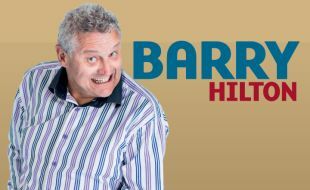 Treat yourself to fun and laughter with comedy legend Barry Hilton on 15 December 2017. Barry is one of South Africa’s favorite comedians. His well-timed humor, expressions and impressions are enough to have anyone rolling in the aisles. And that’s before he’s even opened his mouth to say something! The South African comedy giant’s universal appeal has earned him a fan base that spans continents and has seen him perform across the globe. Barry’s sets are never vulgar or malicious, but always funny and thus appeal to a wide age group. He is also the proud recipient of a Comics Choice Lifetime Achiever Award.